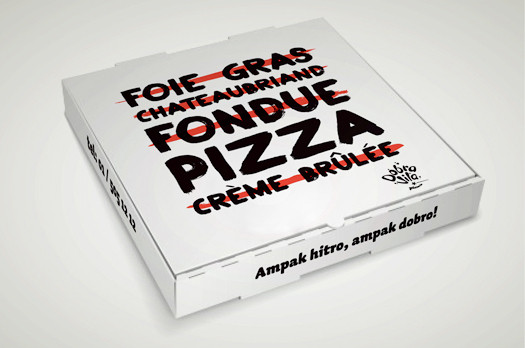 To create a familiar trademark of a pizzeria, amidst keen competition, which will deliver gourmet dishes. 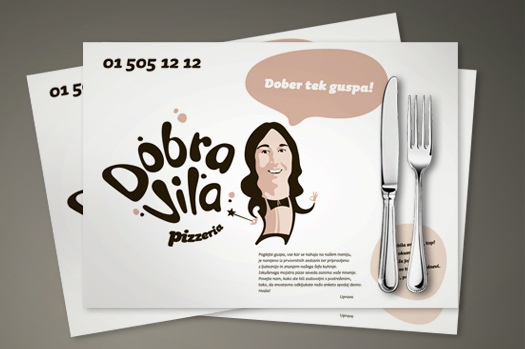 To introduce to the market an urban, unpretentious pizza shop, famous for its quick and quality services. 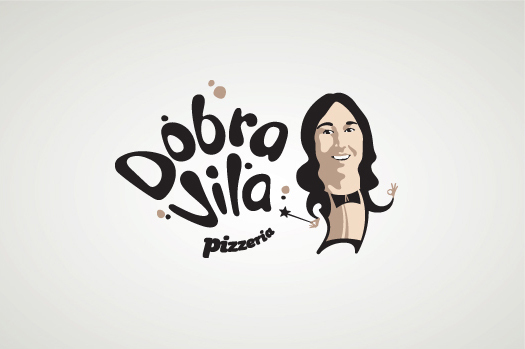 The founder and owner, who is known throughout Slovenia as “Dobra Vila” (the Fairy Godmother), the star of a legendary TV advertisement with fairies, will be the main protagonist. 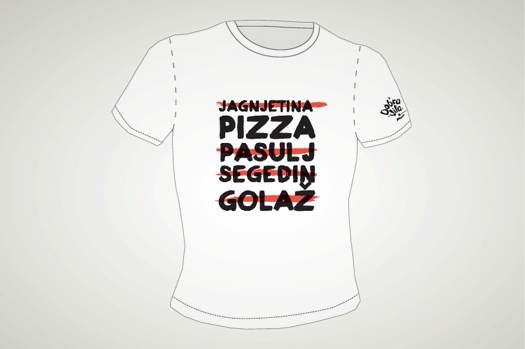 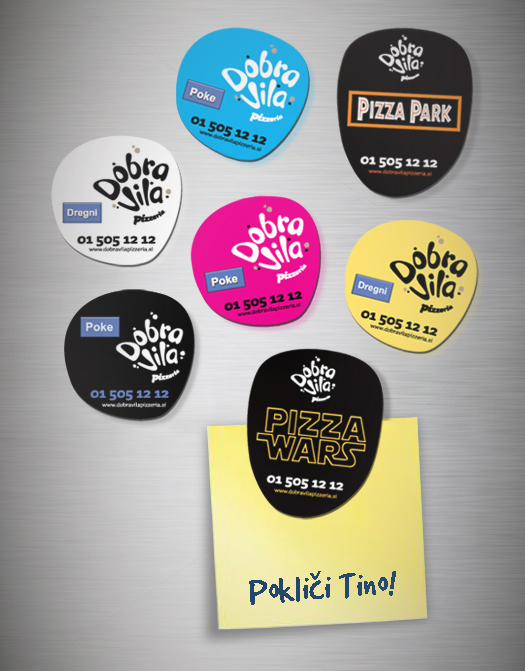 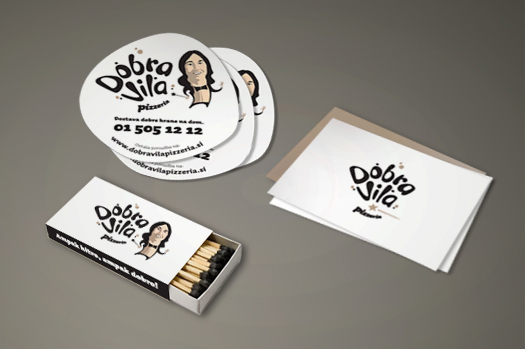 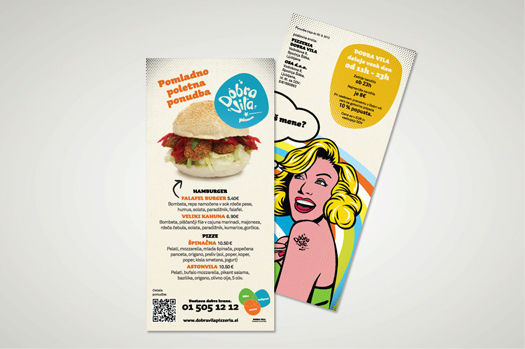 Thus, the pizzeria named Dobra Vila will be distinguished by the founder’s advertisement character. 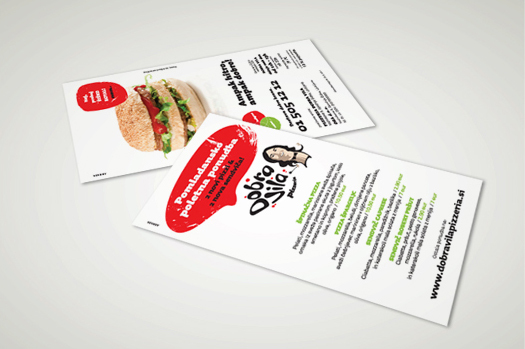 Slogan: Quick, but delicious.